Looking for a special gift for your dad for his birthday, Father's Day, the holidays or just to say " I Love You" ? 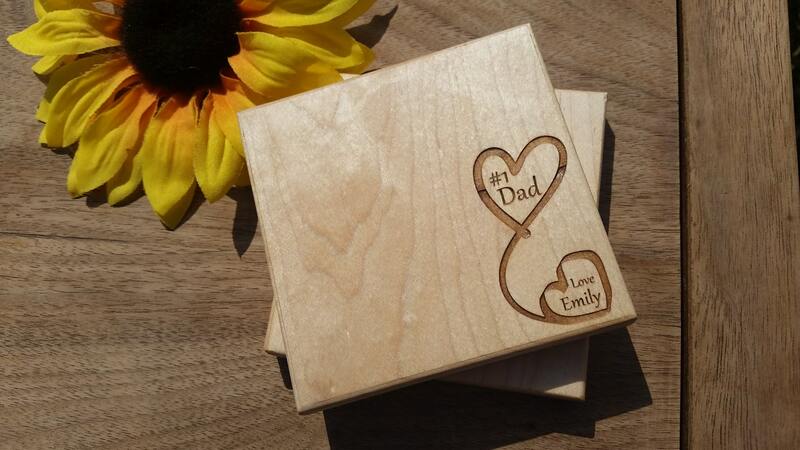 Our beautifully crafted and engraved coasters are a one of a kind gift. Each coaster is crafted by us from solid wood and is also engraved by us. Each heart can be customized as per your request.